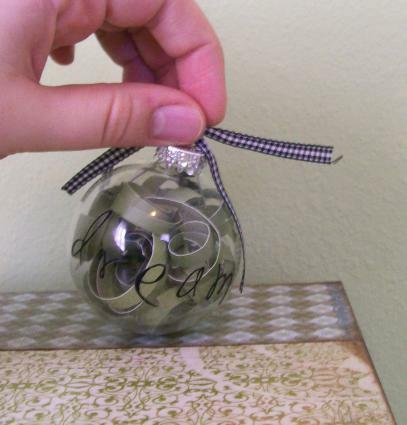 Learn how to make your own Christmas ornaments. Crafting is a wonderful activity all year long, but it's really fun to make holiday crafts. LoveToKnow Crafts has ideas for Thanksgiving Crafts, Christmas Crafts, Mother's Day Crafts and even Kwanza Crafts. We're adding more ideas all the time to help you make the most of your holiday crafting, whether you're making things to decorate your own home or to give as gifts. One of the easiest ways to change the look of a room, whether it's the bedroom or the living room, is by changing the look of the pillows. All sorts of holiday-themed fabrics are now available at craft and discount stores. These fabrics are usually on sale right before and right after the holiday, so you can stock up and save money and within a year you'll have pillows for every holiday you want to celebrate and decorate. Buy your own pillow forms or re-cover an old pillow or two that you don't like anymore. You can buy forms and make different pillows for each holiday, but if you don't want the expense of buying all those pillows or lack the space to store them just install a zipper on one side of your pillowcase. Then you can unzip, switch, launder and store all your fabric pieces much more easily. You could also use buttons or ties if you don't want zippers. You can make cute seasonal candle holders by collecting the bounty of nature or taking a little trip to the store. First, you need a glass votive holder or other smooth-sided candle holder. The materials you choose to decorate the holder will depend on the season: perhaps twigs, acorns or rocks for fall and winter, dried flowers for spring, seashells, beach glass or even sand for summer. A trip to the local craft store will give you more ideas for seasonal and holiday décor. Many stores have miniatures sections for dollhouses that may include cute things you can stick on a candle holder. And don't forget the buttons, ribbon and other finishers found in the fabric section. Whatever your favorite type of craft, from cross stitch to knitting, beading to soap making, you're bound to find a way to express your love of the holiday in craft. Check out our craft sections for ideas and places you can find more patterns, or adapt your own pattern by changing the colors, shape of the mold or materials used in order to evoke a holiday feel.